Re: Who do you want next? Reading the recent message from Eales, it is clear we are doing the right thing (unlike FKs sweet shop approach). This involves interviewing several candidates, and he is clear that some will be met more than once. The main problem is the inability or unwillingness of the media generally to accept that interviewing someone does not mean that person is our "number one choice" (as the media keep making out, with every new name to appear). And like any interview process, it as much for the candidate to look at the potential employer, as much as the other way around. I also think the Sky argument is nonsense. If any ex-player appears on Sky (or any other TV or radio outlet) and has been linked with a vacant managerial post, do you really think the programme host will NOT ask them about the story? The fact that one such host is one of our Board members, and a couple of ex-players on Sky are currently linked to Oxford, is simply an irrelevance when taken in the wider context. And if someone does say something that causes Eales problems, then they may well have just ruled themselves out of the running. I know that applying normal HR practices to football is a mug's game, but in any normal recruitment process, you wouldn't expect an applicant to start talking in public about jobs they were applying for - and, indeed, as an employer you would probably think less of a candidate who did so. I cannot understand why prospective OUFC managers think it's in their interests to appear on telly and allow those questions to be asked, or to allow their agents to put it about to newspapers that they're interested in a role. Quietly get on with applying, researching the club, and preparing a good interview pitch - and say nothing until the process has been completed. You're right - maybe Eales is using this as a process to weed out the sort of people who think that it's a good idea to be shouting the odds from a S*y Sports sofa and carrying out shameless self-promotion through their agent. If so, Eales is an even shrewder man than we realised. I note in one interview, Mr Campbell says that he realises to get into management he must 'start at the bottom'. Ugh. If this is really how he views our club, he can find another one - preferably at Sunday league level. What would people's view on Stuart McCall for next Oxford manager be? Well I'd quite like someone to be Oxford's next manager before too long. Yeah, they need to sort this out. It just feels like it's drifting. So. Craig Bellamy. 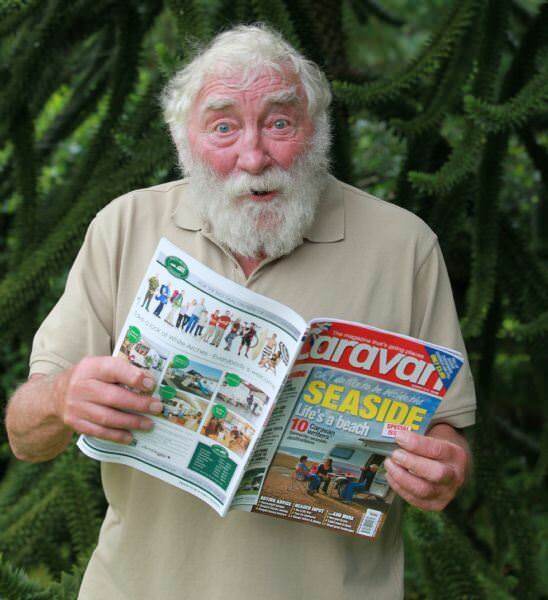 (or, as one Radio Oxford caller decided: David Bellamy). Discuss. Radio Oxford were reporting it as likely, which suggests to me that it's a done deal. I've also heard from a few "friend's mate's brother's cat" sources that Bellamy has said his goodbyes to the youngsters he's been managing at Cardiff City. By all accounts he is very well-liked and well-rated there - both by the staff and the players. He has high standards, and has been frustrated by the facilities at City which aren't up to what he had grown used to at Newcastle, Man City, Liverpool etc. So god knows that he'll make of our setup. For me though , he's still completely the wrong appointment. We need someone experienced to guide us out of our current malaise - Simon Grayson would have been my first choice, but once he'd gone I'd have settled for Stuart McCall, Paul Tidsdale, even Uwe Rosler. The one thing to say for Bellamy is that he might at least dish out a few bollockings - which I'm afraid this team desperately needs. Last edited by Kairdiff Exile on Mon Feb 19, 2018 10:48 am, edited 2 times in total. A man with a history of violence, both on and off the pitch. Violent incidents with teammates, opponents, fans and members of the public. He owns a MMA gym (ie cage fighting) in Cardiff. I don't want him anywhere near our club. On Saturday, I heard from a mate who had heard from a mate (who is very much in the know) that Bellamy is 99.9% a done deal. My understanding too is that he is well thought-of in his current role at Cardiff - which fits in with what Eales has said in the past about the sort of person he wants to bring in. What I cannot work out is how we would get anyone other than that sort of person (in terms of their current role) as our manager. Eales has, with Appleton, Faz, Chrissy and others over several years, created a structure at the club, that Eales has made clear he wants a manager to fit into. That is likely to rule out anyone who likes to bring in their own backroom staff/mates. That is, in turn, likely to rule out quite a lot of those with an established career. He has a specific preference for the type of football to be played. That will rule out others. And he wants someone to fit into the club's business model, of utilising young players, internally or bringing them in from other clubs, developing them, then selling them for a profit. That rules IN youth team/U23 coaches. Unsworth, Beale, Bellamy...unless Eales is suddenly going to change drastically the type of manager he wants to bring in, as far as I can work out Bellamy is just the sort of person who Eales will go for. As for whether Bellamy is a good choice, beyond appearing to fit the bill for Eales, I am more than happy to give him the benefit of the doubt. After all, there is no reason to believe he would behave the same way as a manager as he did/might have done/was rumoured to do as a player. I also trust that whoever comes in, they will have been appointed following a rigorous process. None of this guarantees success, or a good fit with the manager, but it certainly helps to improve the odds. "I'm intelligent enough, it's not like I played on a fox and dog pitch all my life. I can't believe some people, I'm one of the greatest minds in football and I'm being wasted because of a lack of experience or 'maybe he talks his mind too much"
That is genuinely hilarious - a rare spot of light relief in this otherwise depressing saga. Truly the man has no self awareness whatsoever. I see that several national news outlets have picked up on Sol describing himself as one of the greatest minds in football. At least we’re getting some coverage these days. Craig Bellamy even made it into the latest Private Eye! With Craig Bellamy ruling himself out last night, Warburton would be be OK but I am expecting a surprise - hopefully a good one. Brian mcDermott now being touted as next up.